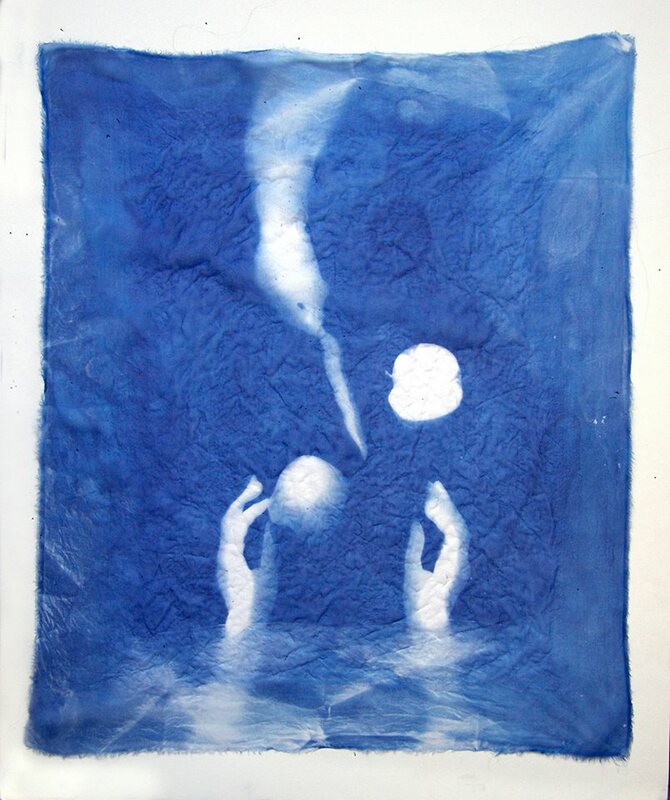 The exhibition includes a series of large format cyanotype photograms on silk and cotton that simultaneously presents and questions the idea of home. Using 3-dimensional surfaces in corners, steps and thresholds, the photo-sensitive fabric captures shadows and direct contact and then fixes the ephemeral sensation of feeling at home through the photographic process. Still, thanks to the optical distortions (and the added stains) home looks like a perceptual illusion. The photos are made without the use of a camera. This series of blue images presents a vision of home in its haptic, tactile dimension, to restore to photography its sense of touch lost due to the distance imposed by the camera. So the series is really a step forward in my artistic practice focused (pun intended) on photography that goes against itself, in its concept of physical materiality, unrepeatable prints, accidental happenstance as well as the inclusion of the hand of the artist. This entry was posted in alternative, exhibition, invitation, photography and tagged cyanotype. Bookmark the permalink.